This pathbreaking book explores how life can begin, taking us from cosmic clouds of stardust, to volcanoes on Earth, to the modern chemistry laboratory. Seeking to understand life’s connection to the stars, David Deamer introduces astrobiology, a new scientific discipline that studies the origin and evolution of life on Earth and relates it to the birth and death of stars, planet formation, interfaces between minerals, water, and atmosphere, and the physics and chemistry of carbon compounds. Deamer argues that life began as systems of molecules that assembled into membrane-bound packages. These in turn provided an essential compartment in which more complex molecules assumed new functions required for the origin of life and the beginning of evolution. Deamer takes us from the vivid and unpromising chaos of the Earth four billion years ago up to the present and his own laboratory, where he contemplates the prospects for generating synthetic life. 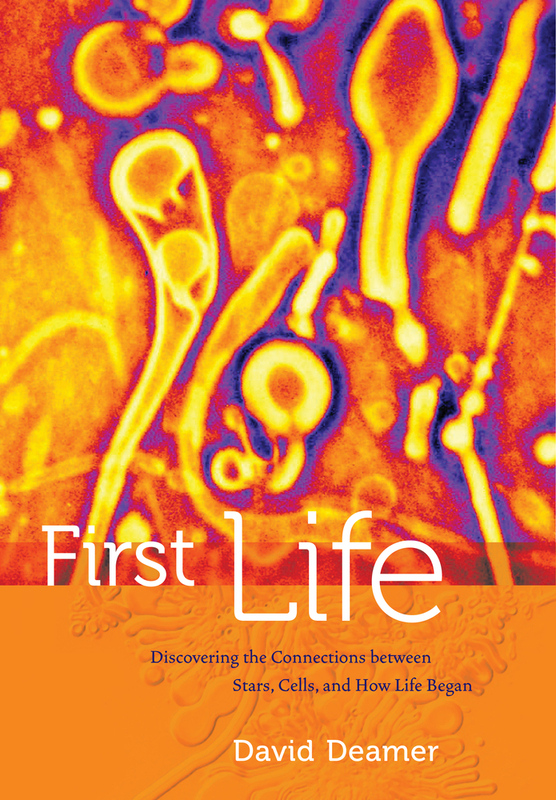 Engaging and accessible, First Life describes the scientific story of astrobiology while presenting a fascinating hypothesis to explain the origin of life. David Deamer is Research Professor in the Department of Biomolecular Engineering at the University of California, Santa Cruz. He has written and edited many books, including The Origins of Life (with Jack Szostak). 2. Where Did Life Begin? 3. When Did Life Begin?